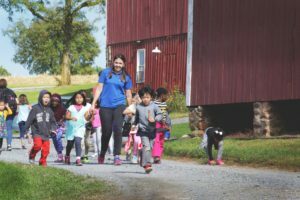 Last Friday, October 7th, 120 kindergarteners from College Gardens Elementary made a trip to Madison Fields in Dickerson, MD, along with their teachers and chaperones. 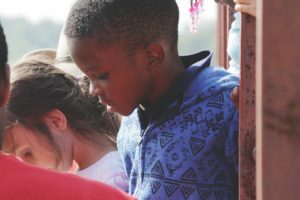 They arrived around noon, and the farm was transformed into a magical place where the kids could have fun and learn about agriculture. 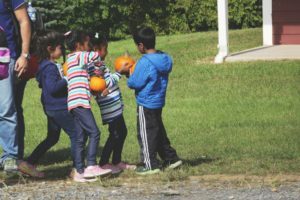 There were eight stations set up around the farm, including the fishing pond, a hay ride, pumpkin decorating, a nature walk, and pony rides. The kids had a BLAST and so did we! One of the highlights of the day was at the fishing station. They had four fishing poles going at once, and they were catching fish left and right! 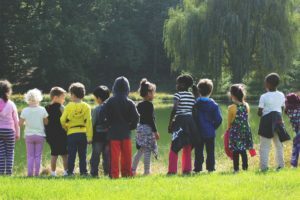 This was an exciting moment for some of the children who had never been fishing before. The hay ride was another major hit! 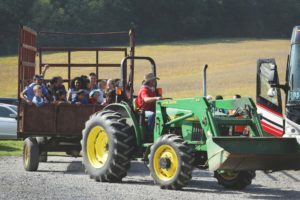 The kids were singing, as “Farmer Steve” drove the tractor through the corn field. 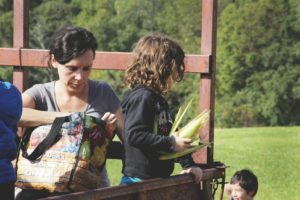 He taught them about the field and what the corn is used for, so it was an educational experience for them as well. 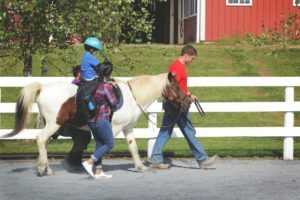 The pony rides may have been the group favorite. 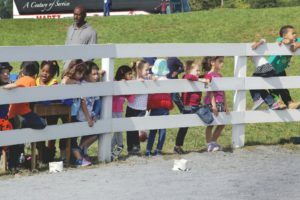 Getting the kids on a horse was an amazing sight to see; most of them had never been on a horse, let alone visited a farm. They loved it, and Dawn and AJ did an awesome job leading them around the ring. 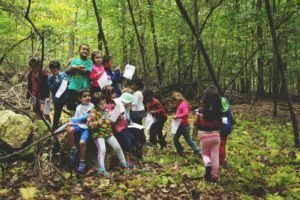 The nature walk was so much more than just a walk through the trails: it was also an educational treasure hunt. Our new office manager, Diane, taught the children about the environment, conservation, and erosion. The treasure hunt checklist included not only finding things you’d typically see in a forest, but also things you shouldn’t find in a forest, like trash and waste. Madison Fields staff and volunteers worked hard to make sure it was a successful day for all! 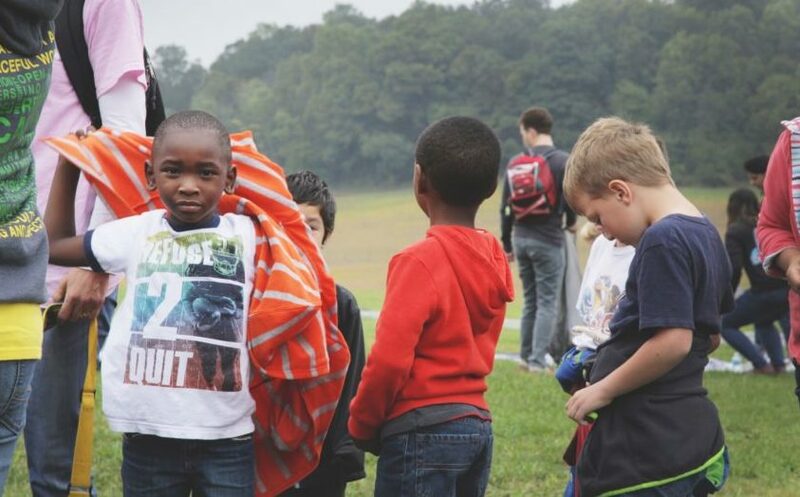 We hope to do more field trips like this in the future, and we plan to expand from 8 activity stations to 16, where each school/organization can choose which activities they wish to partake in. 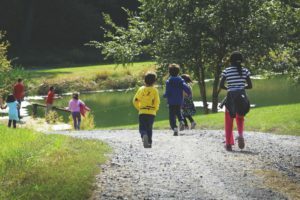 These activities and field trips support our mission to offer an inclusive environment where adults and children – with special needs, or not – can play, learn, and work together.